New TOOL! Announcing the Early Pay-Off Calculator! Have you ever started attacking a debt with more than the minimum payment and thought, "I wonder how much sooner this debt will pay off if I keep making this payment?" 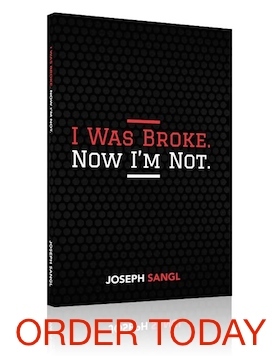 Today, I proudly announce the newest tool in the vast array of helpful personal finance tools on www.JoeSangl.com! You can click the above link directly or visit the "TOOLS" page. By the way, I used the tool to determine the amount of money I need to send in each month to pay off my house in three years. YIKES! Let's just say that I need to sell a LOT of books! Hey Joe!!! I just wanted you to know that I referenced you in a blog comment. It’s a great post by my friend Maggie…you should check it out!! This is a great tool Joe! It is so much easier when you can see the results of your hard work. I hope people take advantage of this great calculator!